My first set of newborn triplets!!! Meet Madelyn, Charlotte and Finley. 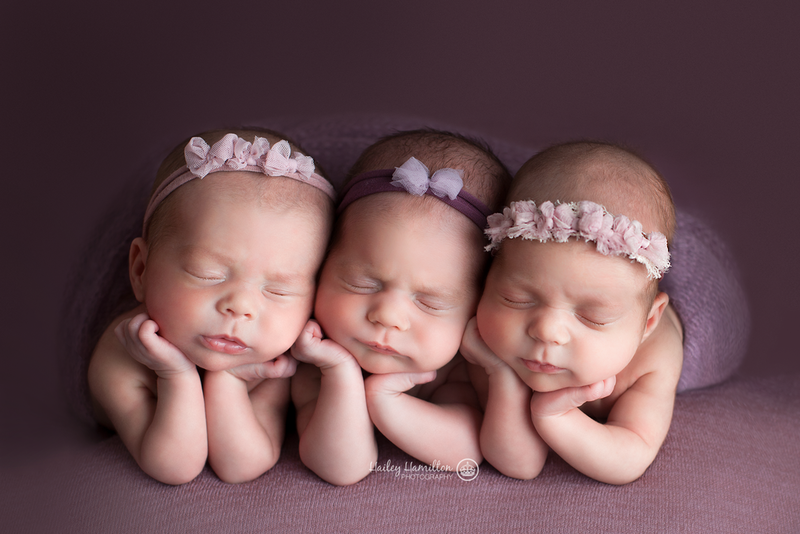 How lucky am I that my first set of newborn triplets were these beautiful girls?! And I’m so in love with their names. I gotta say, this was probably the most exciting experience I’ve had so far in my photography career. I wish I could have multiples in the studio all the time! 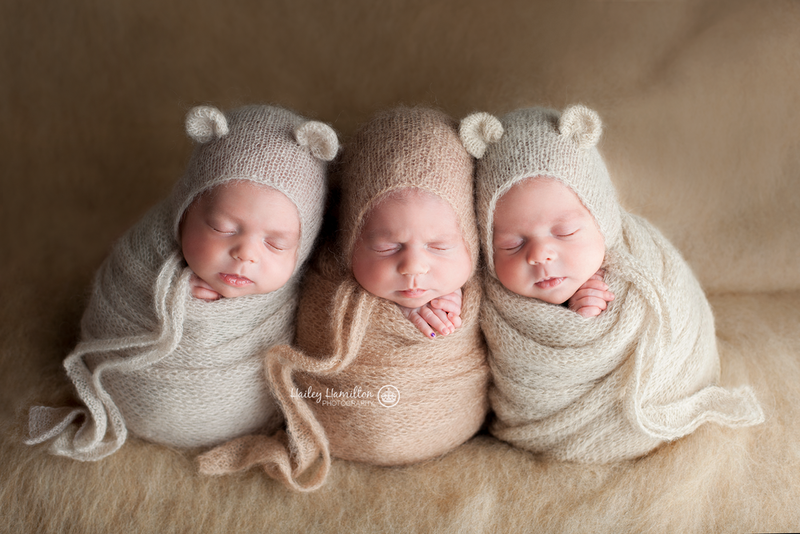 Did you know that I offer a 10% discount on my photography packages for newborn multiples through my partnership with TTMAC (Twins, triplets and more association of Calgary)? I know how financially challenging it can be raising just one baby, let alone multiples, and this is just a small way I can give back to the families in my community who are TTMAC members, and show my appreciation for my amazing clients. You deserve to have beautiful photos of your little ones and I hope this helps and encourages you to book your newborn session with me. I love photographing multiples so much that I will be absolutely honored if you choose me to be your newborn photographer. I use an assistant for all sessions for multiples (and actually, now for all my sessions for single babies too!). Having a studio assistant allows me to have extra hands and eyes on the babies to ensure their comfort and safety during their session. I think it’s important for me to be able to focus on the creative aspects of the portraits so I’ve found an amazing helper (who is a nurse) to keep your little angels soothed and happy while I work the on the posing and shooting. Your babies are in great hands! 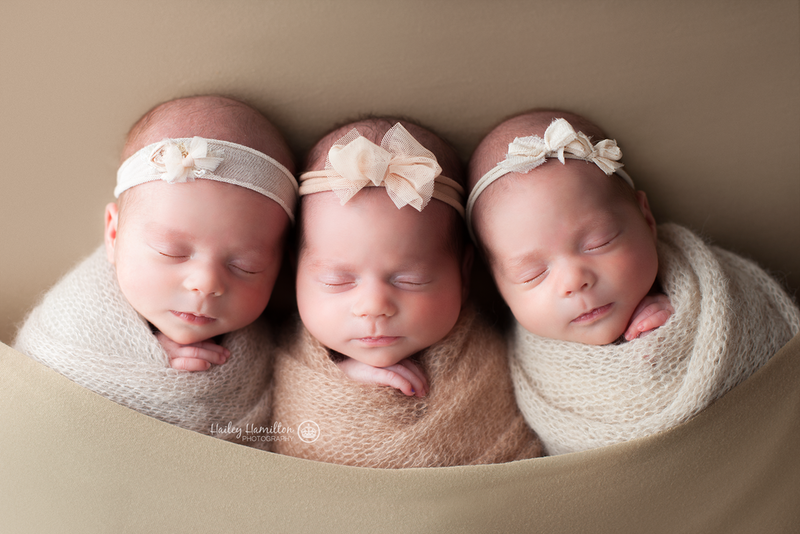 Prior to publishing this post, I actually photographed my second set of triplets! Just a month after these girls! Stay tuned for my blog post from that adorable session.